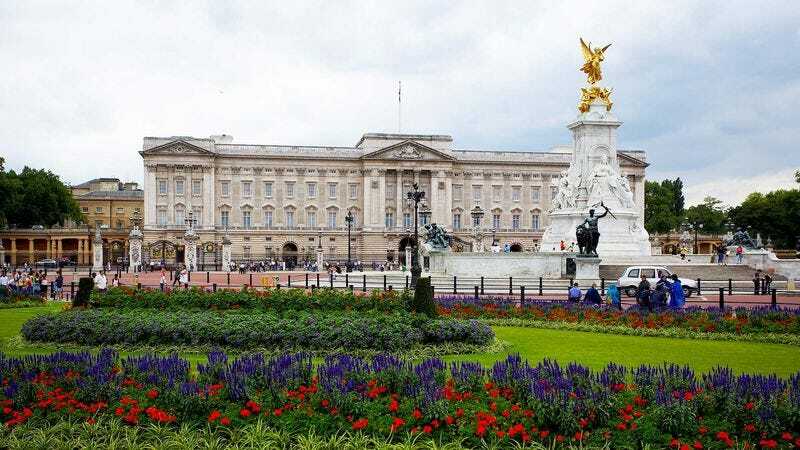 LONDON—Projecting from the rate of territorial decline over the last two centuries, experts predicted Thursday that the British Empire will be reduced to an area of eight acres surrounding Buckingham Palace by as early as 2050. “Considering the loss of its colonial possessions around the world over the years, as well as Scotland’s current independence campaign, we project that the once vast and mighty British Empire will soon reach only a few hundred feet beyond the property lines of the royal palace,” said Oxford University political science professor Patrick Withers, adding that within 35 years, the sum total of British-held territory will likely extend from Upper Belgrave St. a few blocks west of Buckingham Palace to just a small fraction of St. James’s Park to the east. “According to even the most generous estimates, the England of 2050 will no longer include the British Museum, most of the River Thames, or the Houses of Parliament, which will present extraordinary difficulties in governance and sustaining British identity at all.” Withers went on to say that within 100 years, the British Empire may be reduced to the Queen’s throne room and part of the hallway outside.